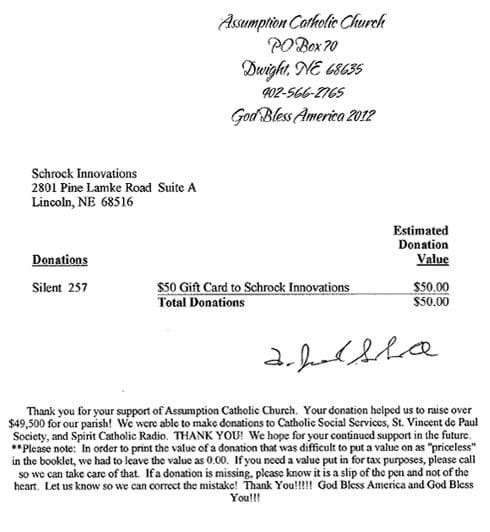 Assumption Catholic Church held a fund raiser to support Catholic Social Services and Spirit Catholic Radio among other organizations. Schrock Innovations played a small part in helping the Church raise over $49,000 in donations to help causes that impact our local communities. Schrock Donates to Youth Mission Donation Helps Good Shepherd Presbyterian Church Raise $9,400 Schrock Helps Raise $80,000 Schrock helps to raise almost $13,000!